Though trees are mostly beautiful in our landscapes, we can be caught unaware of the risks associated with defective and hazardous trees. Hazardous trees can cause personal injury and property damage. Therefore, it is important to periodically perform a hazardous tree assessment of your property. And with proper corrective action, you may be able to protect your property and save lives. A tree becomes “hazardous” when any of it’s structural defects are likely to cause failure to all or part of the tree, which could then strike a “target.” A target can be a vehicle, building, or a place where people gather such as a park bench, picnic table, street, or backyard. Assessing the risk to these “targets” involves understanding the “hazards” concealed within a particular tree. If you need professional hazardous tree assessment, call the professionals at ATP. A tree with defects is not hazardous, however, unless some portion of it is within striking distance of a target. Call the pros at Atlanta Tree Professionals to learn more about the health and hazards of your trees. ATP brings quality tree care service to your GA home. 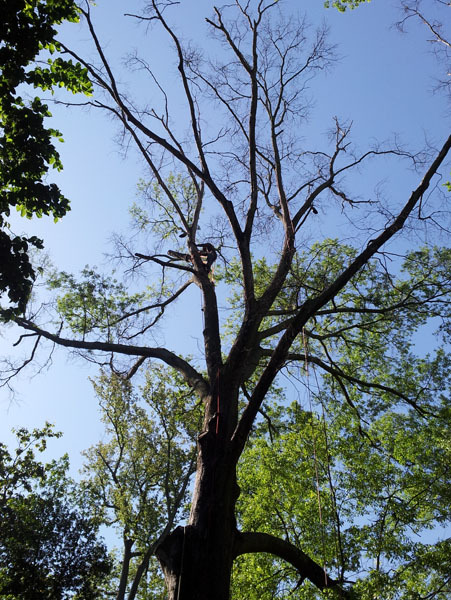 We are your tree service experts serving Marietta, Roswell, Sandy Springs, Alpharetta and north metro Atlanta. Have a question about your trees or need service now? Call Atlanta Tree Professionals today. The wet and soggy winter weather we’ve had could put your trees and property at risk. Follow these Tips for Hiring a Tree Service Company. Know what service you are getting before you have work done!